The perception of private aviation is massively changing at a global scale. There are plenty of variables that contribute to this shift; from commercial aviation’s unreliable service in some regions to a technology-fueled customer experience, this thriving market seems to have its best days still ahead. 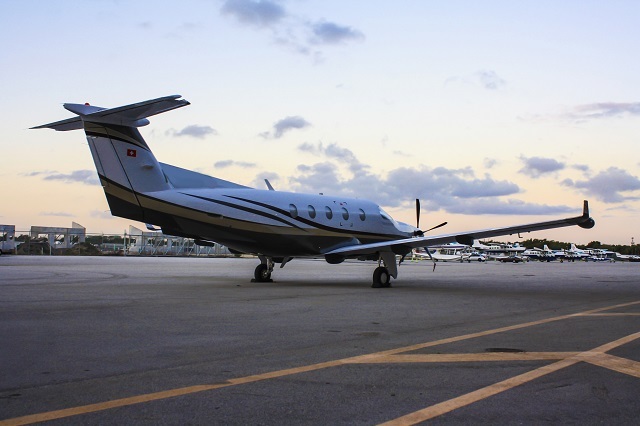 Monarch Air Group, a private jet provider in Fort Lauderdale, explains the key components of business aviation’s steady rise. There was a day when private aviation was only for a few and when luxury was the main trait pursued by customers. Today’s motivations are far different, with time-saving and endless flexibility the ones topping the list. Especially for business flights (it’s called business aviation for a reason), these two components are the main decision drivers when choosing a private flight instead of a commercial first-class ticket. You can get top class comfort and in-flight service on first-class, but you still must arrive hours before your flight and depend on the airline’s fixed schedules. Technology has been a game changer for the industry as well. It has helped to raise the transparency bar by putting in the hands of millions of smartphone owners live prices, routes and available aircraft, resulting in a dynamic proposal that has expanded beyond the common private aviation passenger’s profile, thus reaching a new target audience and rapidly broadening the access to this service. If the price is right, you just fly. Regarding the competitive prices of the market, which very often surprises people, they are possible in part thanks to new aircraft in the business, which bring lower operational costs for operators and decrease the entry point price for customers. Everybody wins. Furthermore, as Monarch Air Group’s Executive Director, David Gitman, acknowledges, “there’s a far more informed and educated private aviation customer out there, asking the right questions and knowing what he or she wants. It’s almost standard that for flights of two hours or less, they prefer a turboprop plane instead of a jet, understanding that they are not sacrificing comfort nor privacy with the decision, but obtaining the great value at a lower cost. And this decisiveness helps us better tailor our offerings”. There are diverse ways to experience private flight. Some companies offer membership cards with a fixed amount of flight hours a year, others have hit the market with the fractional ownership concept and some continue attracting customers with on-demand bookings. The latter is still the most used through different continents thanks to its unique flexibility, whereas you don’t need to commit to a rigid number of hours a year or to partially own a certain aircraft. What happens if you get bored? This defeats the purpose of private aviation. Whatever the case, this market is evolving into a more appealing option especially for young entrepreneurs in the millennial generation, who live connected to their smartphones and can’t waste time stuck in massively concurred airports due to commercial airline’s inefficiency to depart on time. Private aviation is second to none when adapting to the customer’s needs.